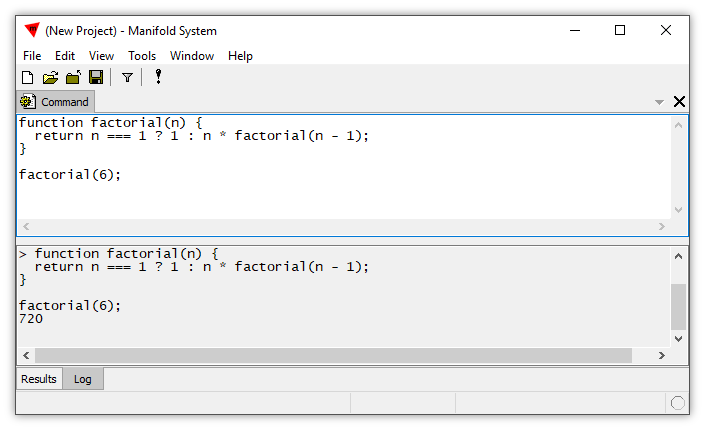 We then call the function to calculate the factorial of the number 6, the factorial being 6 * 5 * 4 * 3 * 2 * 1. We push the ! run button to execute the script. 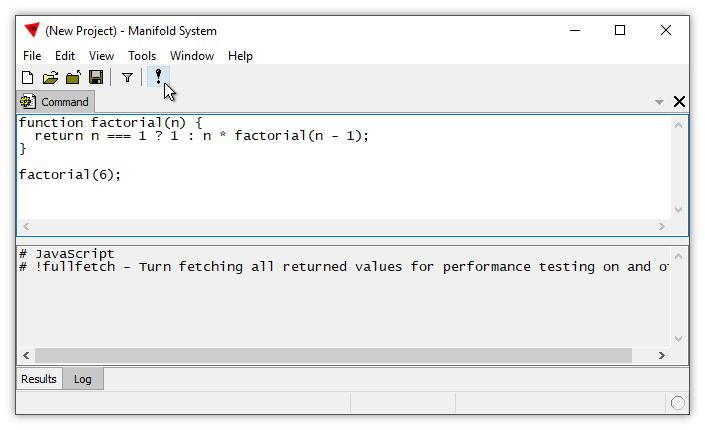 The Log window reports both the script we ran as well as the result, in this case 720, the factorial of 6. 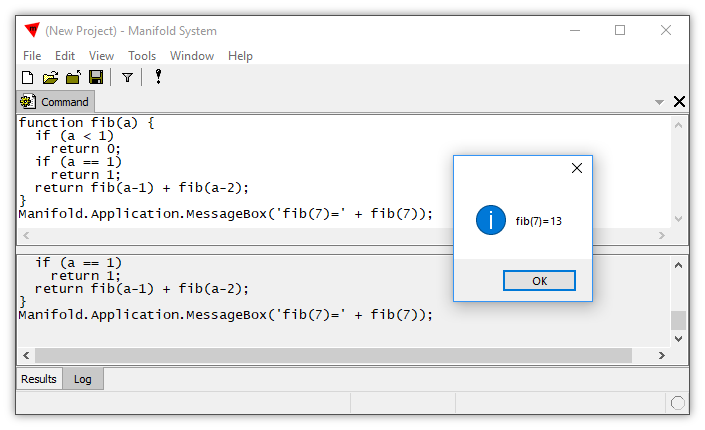 We will now create a script that uses a message box. We will compute a Fibonacci number using, once again, recursion. We enter the above script into the command pane and then press the ! button to run the script. 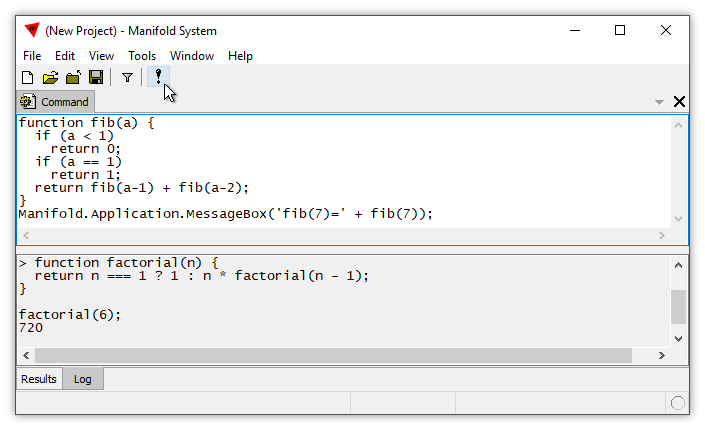 As expected, the result is a message box with the seventh Fibonacci number, 13. Example: Create and Run a Query - See how the different parts of a command window operate when creating and running SQL queries. Includes use of the Log tab as well as the ?expression and !fullfetch commands. Example: Refer to a Table within a Data Source - Within a query, how to refer to a table that is in a data source. 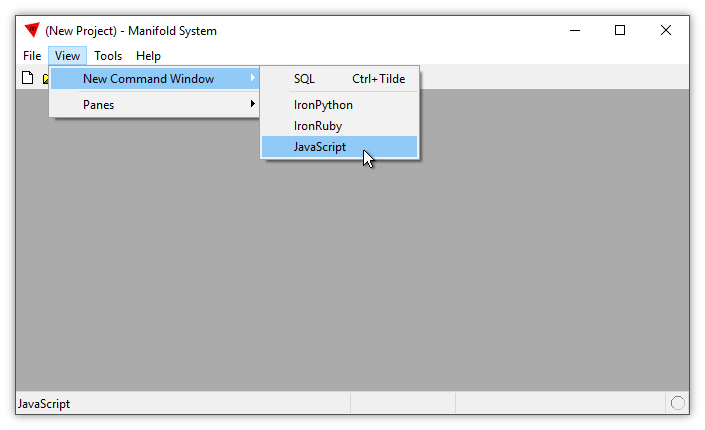 Example: Switching between Manifold and Native Query Engines - How to use the !manifold and !native commands to switch a query in the Command window from use the Manifold query engine to whatever query engine is provided by a data source. Example: Automatically Generating CREATE Queries - How to use the Command window to automatically generate SQL in the form of CREATE queries that create a desired component. Must read info: All programmers should review the API Documentation online.